Celebrate Water was a Huge Success! Thanks to our sponsors and all who attended, Celebrate Water was a huge success! Thanks to our CLE presenters, Jean Melious and Patrick Williams, for educating us on current Supreme Court cases concerning Water Rights, Land Use, and Instream Flows. 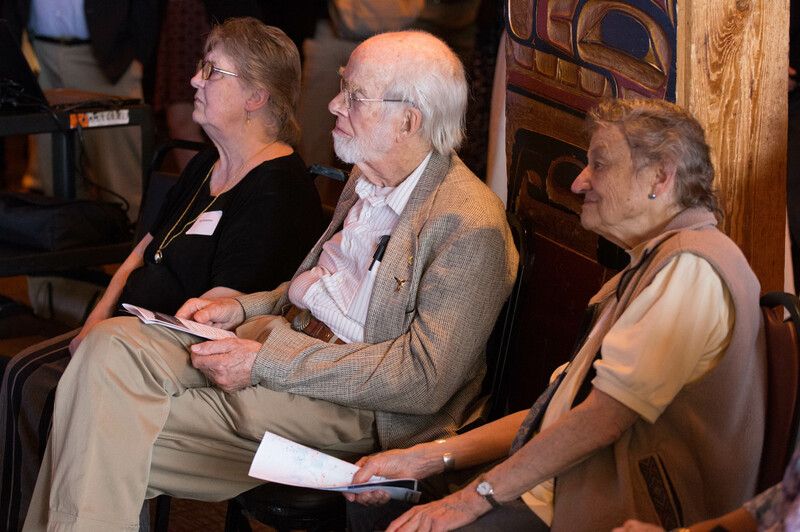 We also heard presentations from Rachael Paschal Osborn about the Columbia River Treaty, and from Adam Wicks-Arshack about his organization, Voyages of Rediscovery, and their work facilitating educational expeditions on the Columbia River. They have published a video, Treaty Talks, about their expedition up the Columbia River from the sea to the source in Canada. 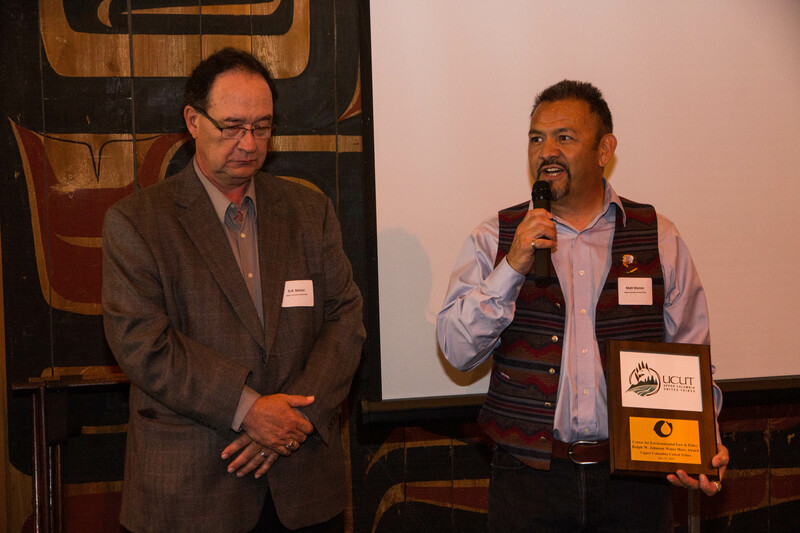 We had the pleasure of honoring the Upper Columbia United Tribes with the Ralph W. Johnson Water Hero Award in recognition of their efforts towards restoring salmon and the Columbia River. By honoring UCUT, this award also recognizes and honors all 15 Tribes and 17 First Nations of the Columbia Basin for their leadership towards these goals in the United States and Canada respectively. Thank you to our many sponsors for their support, including: Bob Anderson & Marilyn Heiman, Columbia Institute for Water Policy, UW School of Law – Native American Law Center, Carnegie Group of Thurston County, South Sound Group Sierra Club, Voyages of Rediscovery, Family of Ralph Johnson, Adidas Outdoor, Northwest Swan Conservation Cooperative, Ted Knight, Attorney at Law, Law Offices of Shannon Work, Howard Funke, Kootenai Tribe of Idaho, Fran & Bunny Wood, and the League of Women Voters of Washington. 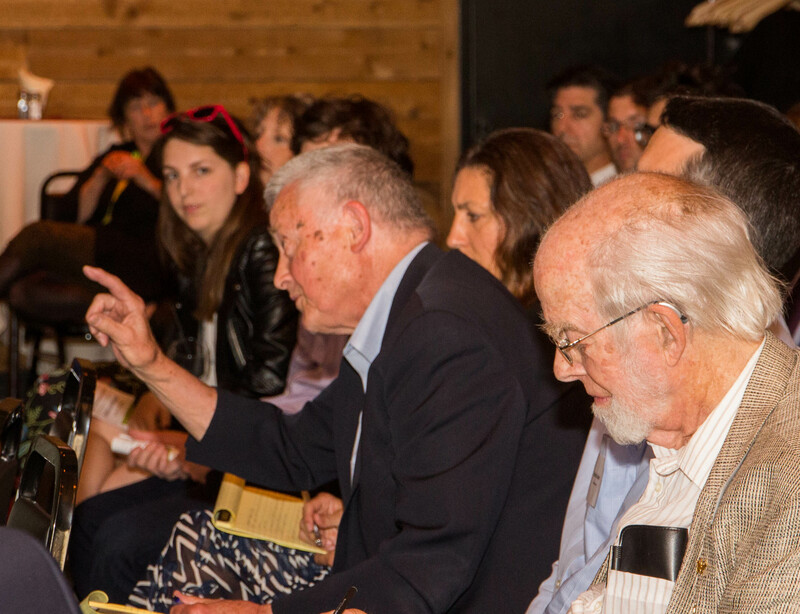 Here are more photos from the event – all photos are by Jon Anscher Photography. On May 21 Center for Environmental Law & Policy (CELP) will honor Upper Columbia United Tribes (UCUT) with the Ralph W. Johnson Water Hero Award. 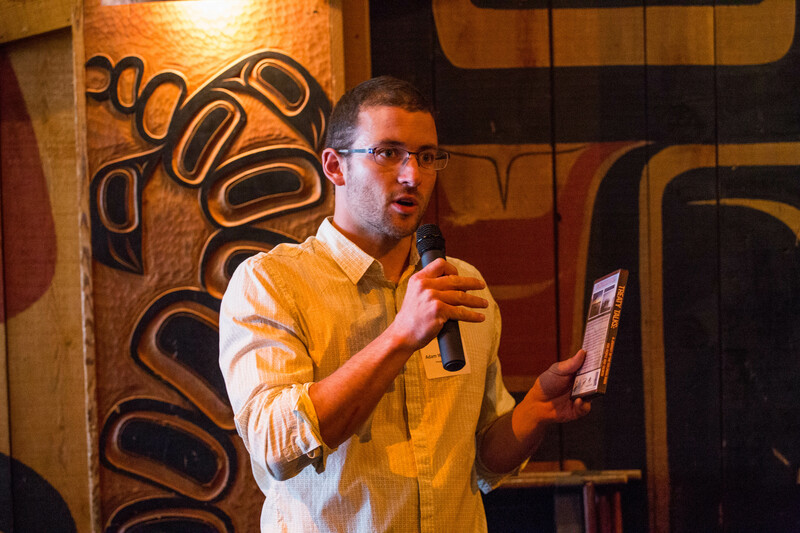 Recognizing UCUT comes at an especially pivotal time in the history of our region: the U.S. State Department is poised to decide whether to negotiate with Canada over the future of the Columbia River. 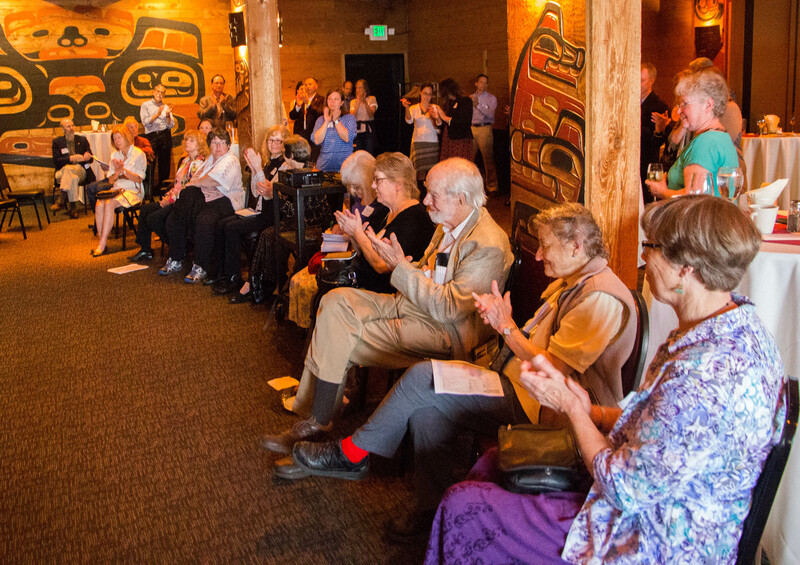 The honoring event will be held at Ivar’s Salmon House in Seattle as part of Celebrate Water! 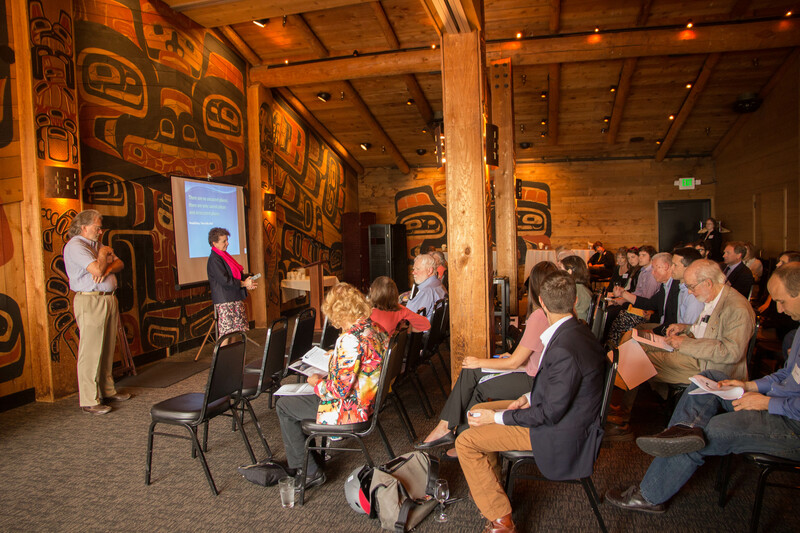 an annual event focusing on the future of water in Washington State, hosted by CELP. In December 2013 federal agencies recommended to the State Department that the United States include restoring the ecosystem as a primary purpose of an updated Columbia River Treaty, along with hydropower and flood control, a feature that will make the Treaty a model of international water management. All four Northwest states, 15 Columbia Basin tribes, fishermen and environmentalists support that recommendation. In the Upper Columbia, dams have devastated fisheries and profoundly damaged tribes and indeed the entire region. The Upper Columbia United Tribes (UCUT) provides a common voice for the Upper Columbia River region through the collaboration of five major area tribes: the Coeur d’Alene Tribe, the Kalispel Tribe of Indians, the Kootenai Tribe of Idaho, the Spokane Tribe of Indians, and the Confederated Tribes of the Colville Reservation. UCUT was formed to ensure a healthy future for the traditional territorial lands of Tribal ancestors and takes a proactive and collaborative approach to promoting Indian culture, fish, water, wildlife and habitat. Celebrate Water! 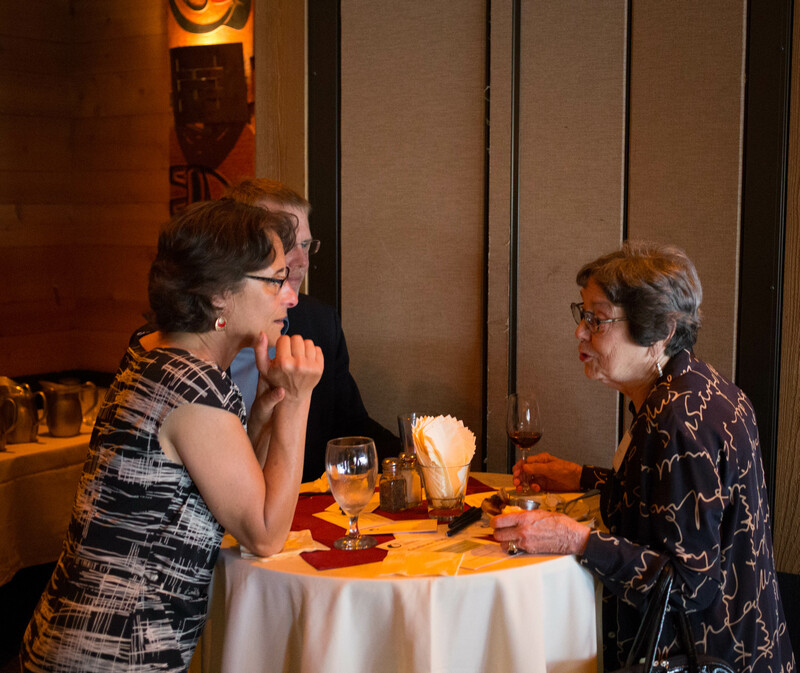 will be held at Ivar’s Salmon House in Seattle, WA on May 21, 2015 from 4:00-7:30pm. A one-credit Continuing Legal Education (CLE) workshop Water Rights, Land Use, Instream Flows: Current Supreme Court Cases will be held from 4:00-5:00pm. The Celebrate Water reception will take place from 5:30-7:30pm and will include the honoring of UCUT. Tickets are $50 (reception), $30 (CLE) and $70 (CLE and reception). More information is available at Celebrate Water! Ralph W. Johnson Award is given in honor of CELP’s founder, Professor Ralph W. Johnson. Professor Johnson co-founded CELP (along with Rachael Paschal Osborn), founded Indian Law, advocated for indigenous people and justice in the salmon wars, and whose jurisprudence was foundational to the Boldt decision. 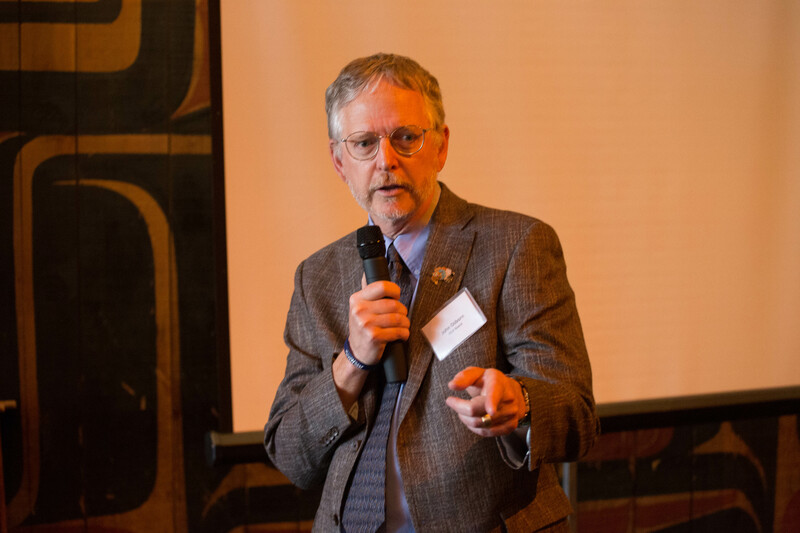 Past recipients of the award include the Swinomish Indian Tribal Community and Billy Frank Jr., on behalf of the Northwest Indian Fisheries Commission.